What have I been doing? Nursing the baby, sending my first born to kindergarten, packing, moving, renovating. I'm still living out of boxes and my house is a mess, but the computer is set up! So I thought I would get back into the swing of things simply, by posting some of my journal pages over the next few weeks. 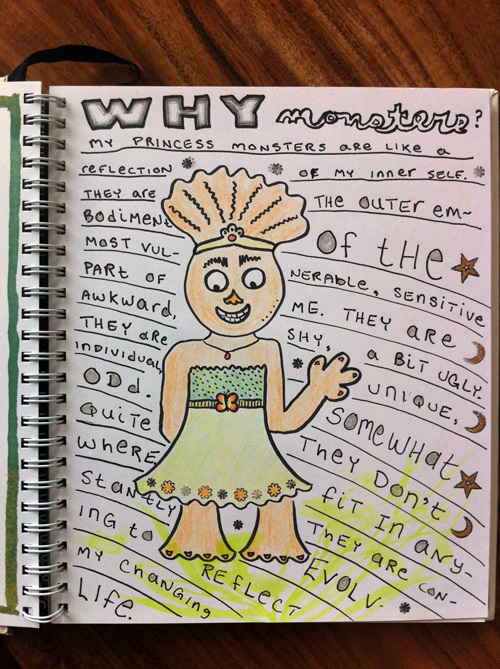 I just started a Princess Monster art journal, which is what I am posting today.